Most people know that data amount has grown exponentially due to the increase in mobile computing, the rise of social networks and the spread of information technology into almost all areas of private and work life. And for network operators, they require a structured cabling solution for fiber and copper as well as an efficient analysis and implementation of ongoing capacity expansion. However, someone may be still confused about why a structured cabling solution is essential? Why We Need a Structured Cabling Solution? 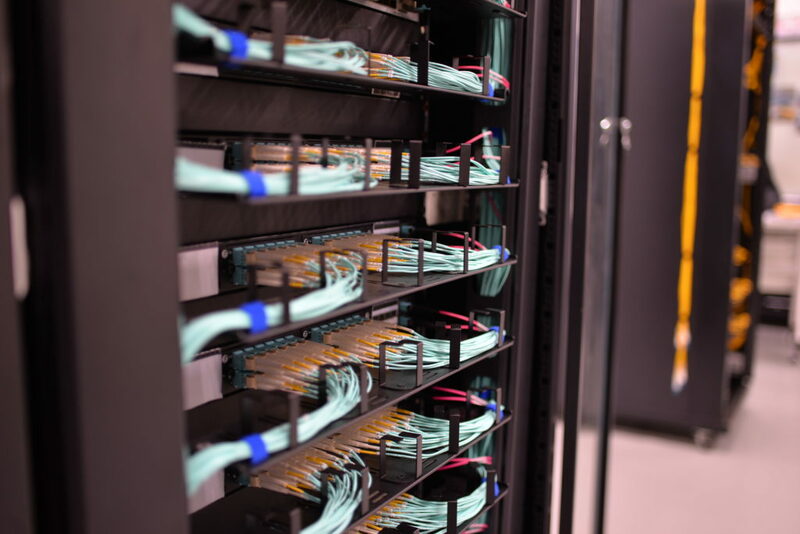 There are four reasons to use a structured cabling solution, bend radius protection, cable routing paths, cable access, physical protection, because these four aspects can directly make influences on network’s performance. Bend radius protection. When fiber bends exceed the specified minimum bend diameter can fracture, resulting in service failure and increasing network operating costs. Thus protecting the bend radius can enhance cables’ long term reliability and reduce signal attenuation. Cabling routing paths. A right path is beneficial for decreasing the probability of bend loss and long term cable failures. So it’s important to make access to individual cables simple and safe. Cable access. A good structured cabling should allow each cable to be plugged in or removed simply without damage. Besides, this will help to maintain bend radius protection. Physical protection. All cables should be protected from accidental or physical damage, otherwise, the whole network may break down. FS.COM offers both horizontal cable management and vertical cable management so your network will not behave like a spaghetti bomb exploded near your servers. Here is some equipment you may use for building structured cabling. 45U adjustable open frame rack. It’s typically used for server room and data center rack applications and designed to house 19inch standard mounting device. Cable manager. Vertical cable manager and horizontal cable manager are available. We choose 45U dual sided vertical cable manager that can be used for both front and back cabling. And 1U metal horizontal cable manager with brush strip, it increases overall air flow within cabinet while helping to prevent equipment from overheating. The steel construction and black powder coat finish fights provides durability, resists corrosion. Besides, there are 1U metal horizontal cable manager with 5 D-rings and 1U plastic horizontal cable manager with finger duct, which can provide a large supported area to organize and route cables. Equipment for connecting fiber optic cables such as 1U FHD fiber enclosure, FHU MTP-LC breakout patch panel, FHX ultra high density fiber enclosure. There are different types of fiber optic patch panel with different connectors, port numbers on FS.COM. In addition, standard or customized fiber adapters panels can also be found on FS.COM. You can choose based on your need. Copper cabling equipment includes 1U shielded or unshielded patch panel, and 24 port blank keystone patch panel. These are used for connecting copper cables. Here is a video gives a quick look at data center structured cabling solution of fiber or copper system. First, place the 45U adjustable open frame rack in the spacious room. Then insert the 45U dual sided vertical cable manager to handle the cables vertically. Second, deal with the fiber optic cables. Install the fiber optic equipment on the rack. 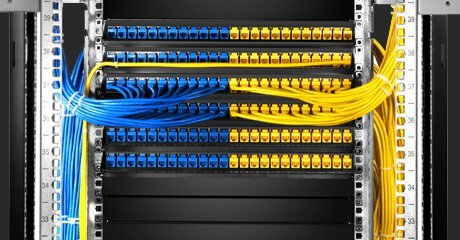 Choose the suitable fiber patch panel to connect the matched fiber optic cables. For example, LC fibers should be linked to the LC adapter panel, otherwise, the network can not work. Third, install the 1U copper patch panel on the rack. Then plug in CAT5e and CAT6 cables in turn. Make the copper cables go through the fingers of horizontal or vertical cable managers. This step aims at protecting cables and perfecting the structured cabling. A good structured cabling solution helps increase network system performance and improve maintenance and serviceability of cables. With the right tools, you don’t need to worry about how to sort in the maze of sloppy cabling, you can build a network that is flexible enough to reconfigure and upgrade. Hope FS.COM will be your first choice to buy fiber equipment. This entry was posted in Cable Management and tagged fiber optic patch panel, horizontal cable management, vertical cable management on June 21, 2018 by Sinead. Zhang.